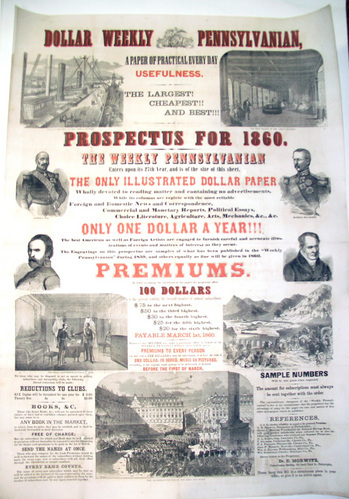 The Dollar Weekly Pennsylvanian ran from 1854 to 1861 under the editorial control of Dr. Edward Morwitz (1815-1893), a physician turned newspaper publisher. Morwitz also ran the German-language newspaper Demokrat and the weekly Vereinigte Staaten Zeitung (United States Journal), using all his papers to advocate for his political views. 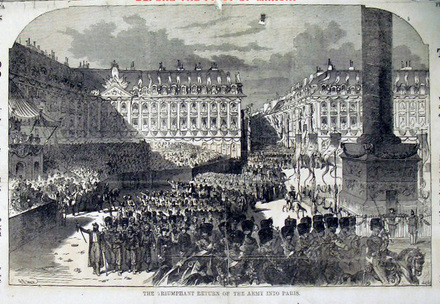 The large wood engravings on this sheet illustrate the newspaper’s extensive coverage of foreign news, offering scenes of the Second Italian War for Independence (also called the Franco-Austrian War). 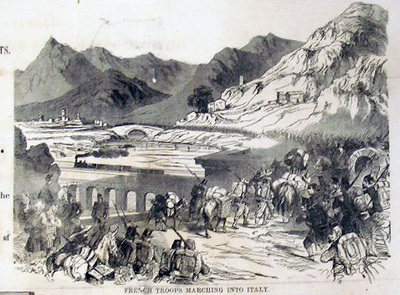 There are also portraits of Giuseppe Garibaldi, Adolphe Niel, Patrice MacMahon, and Alexander von Humboldt.